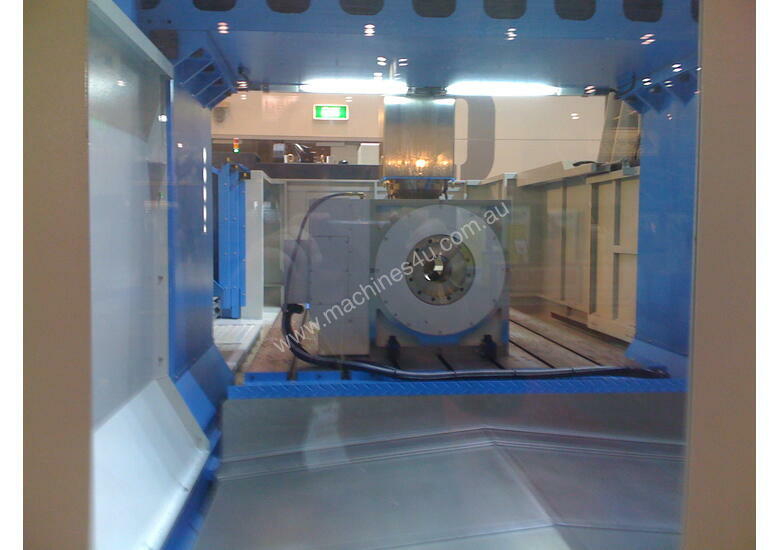 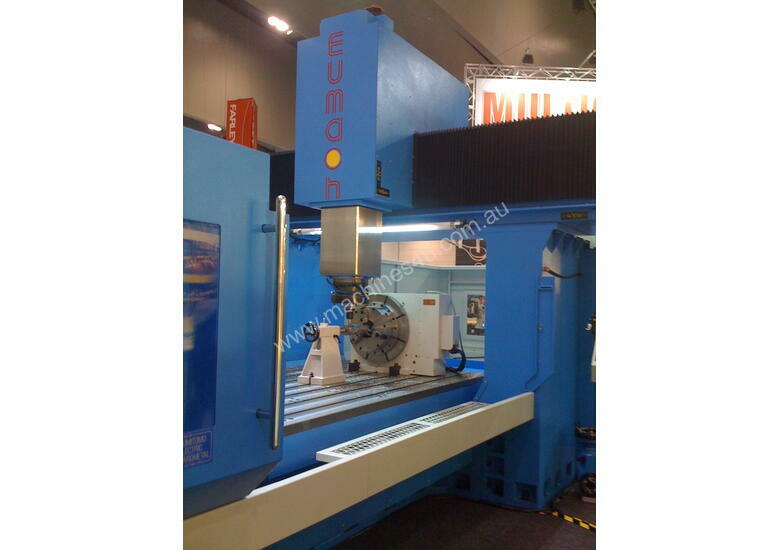 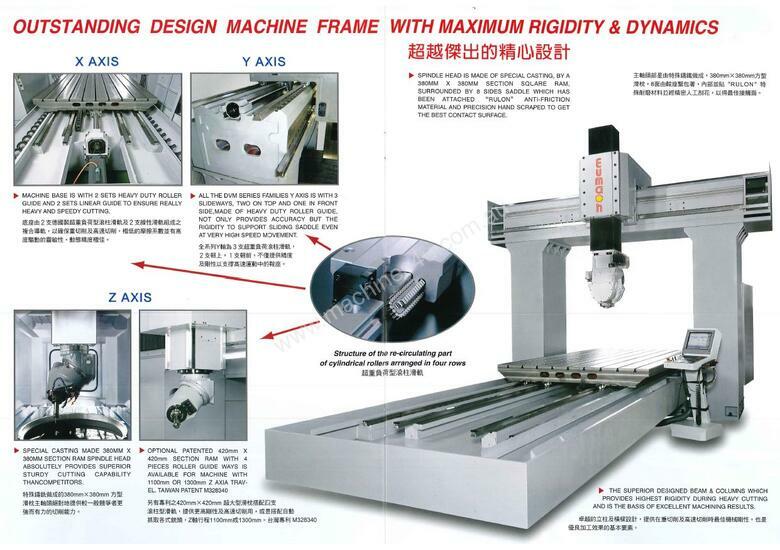 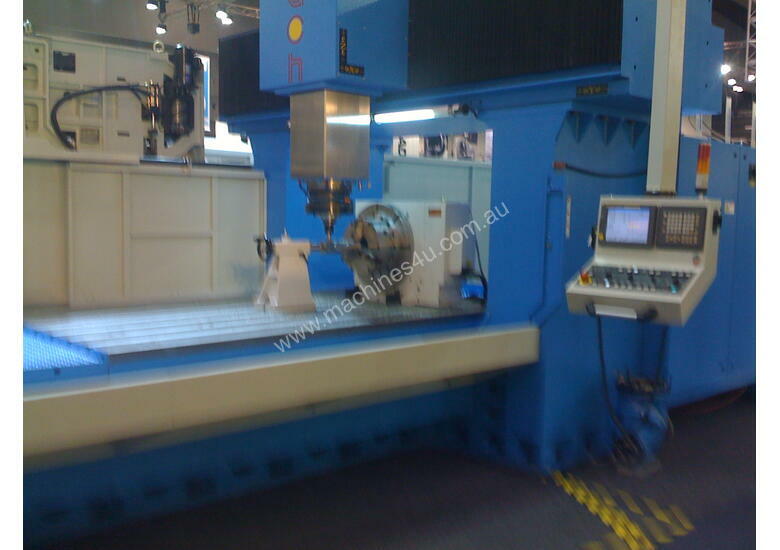 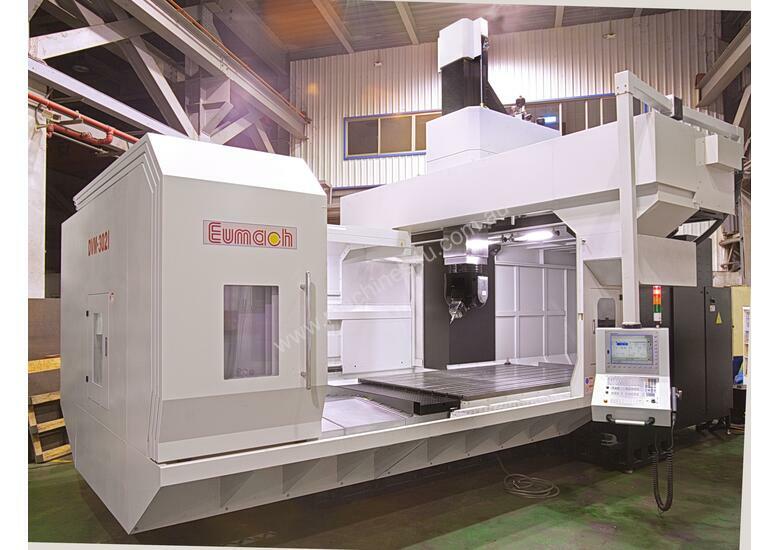 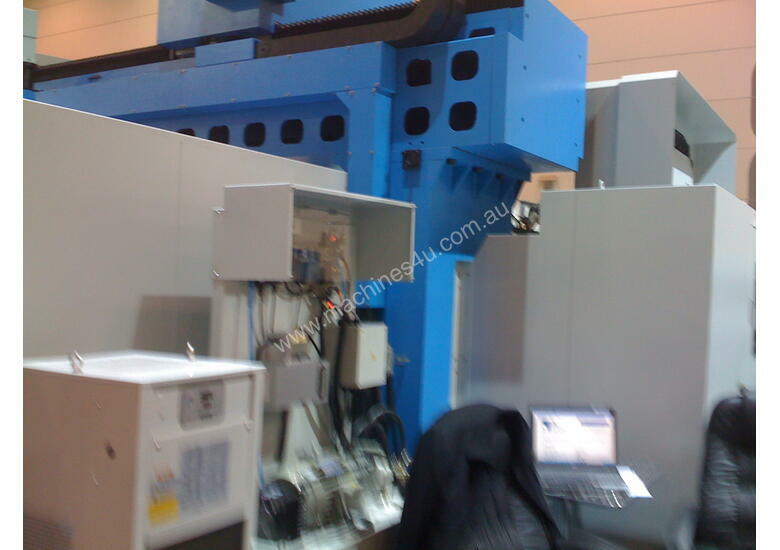 Table sizes 2M x 1.7M up to 6M x 3.1M the Eumach DVM ram type double column vertical machining centres are designed for heavy duty applications where rigidity and accuracy are essential. 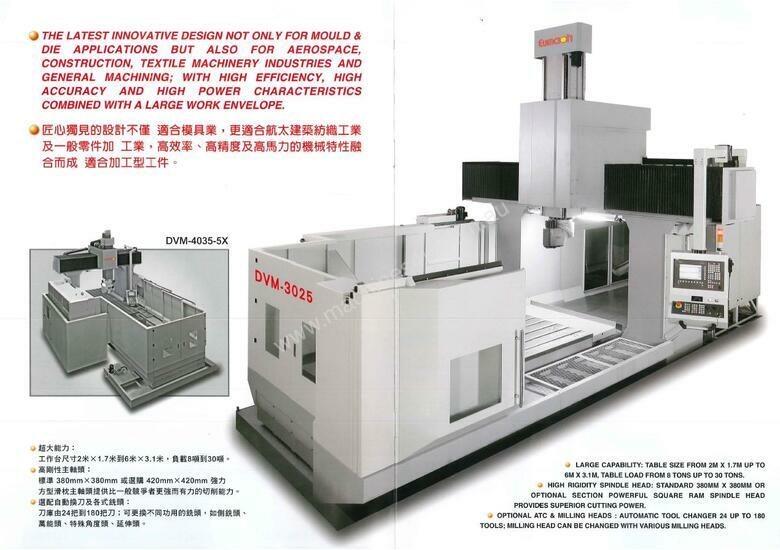 The DVM features a rigid single piece casting for the beam and columns and a massive head casting containing a 380mm x 380mm ram as standard or an optional extra heavy duty 420mm x 420mm. 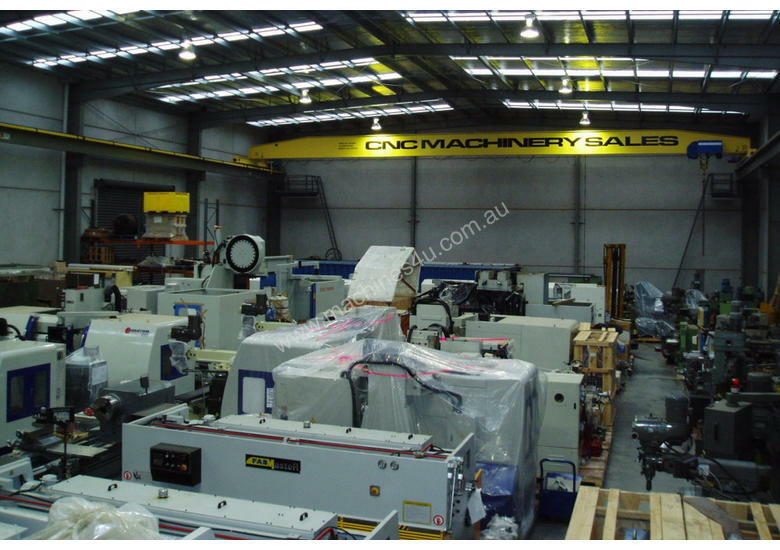 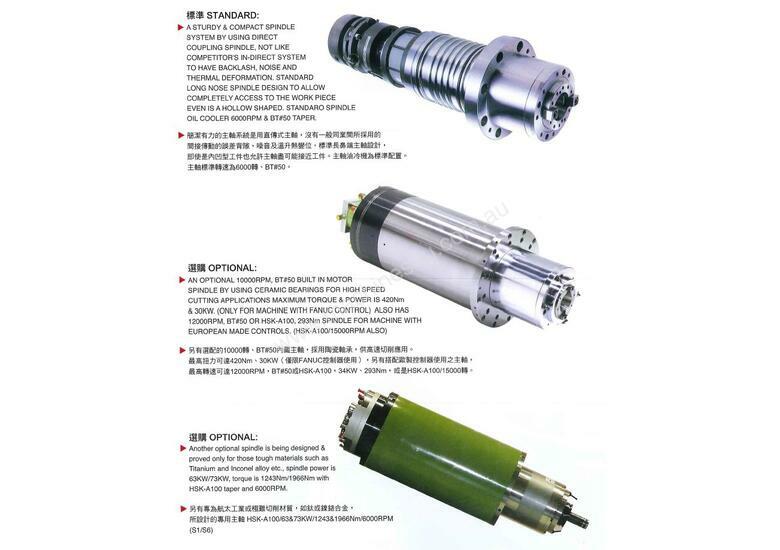 Constructed with 4 slideway X axis and 3 slideway Y axis and direct coupled spindle motors as standard, the DVM Double Column will provide years of accurate productive service. 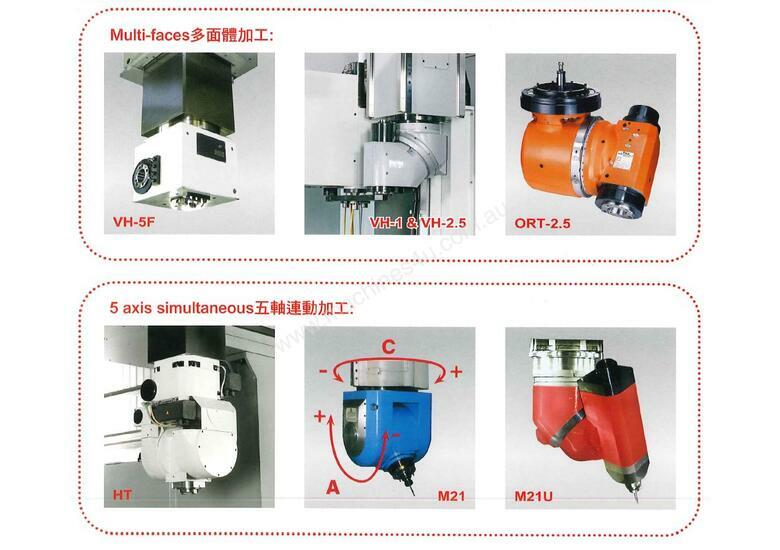 Available with various options of manual or programmable angled and universal heads, tool changers with up to 180 tool capacity, 4th axis tables and more the DVM may be configured to suit a wide variety of applications.